My eyes are drawn to the entertainment tabloids at the check-out counter and when a queue is particularly gruellingly long I have been known to pick one up and flip through its pages. I have my guilty indulgences (aside from gluten-full slices of cake on occasion). But I have never purchased a gossip magazine. Much like lookie-loos craning their necks to see a traffic accident, I have been known to pause on reality shows other than those on Food TV. I don't actually watch much t.v. other than a few sit-coms that to me are like brain candy. I don't need drama. I can read a book for that. Because Stomach likes to watch The Big Bang Theory and it's on frequently after the kids have been put to bed, I get a chance to kick back and watch it too. I enjoy it because heck, Stomach is an engineer and so are many of my guy friends. He and I can relate to pretty much everything that's on that show! Though I have not watched an entire episode of Desperate Housewives and I've only ever seen at most 10 minutes of the Real Housewives series' shows, I certainly know what it's all about. Some of my friends are hooked on watching the series. Well, tonight the Real Housewives of Vancouver launches on t.v. and I've been invited to a Real Housewives house party! Whoohoo! Fun! Some of my female friends at work decided it would be a great idea to get a few of us "Real" Vancouver housewives together to watch the first show together. 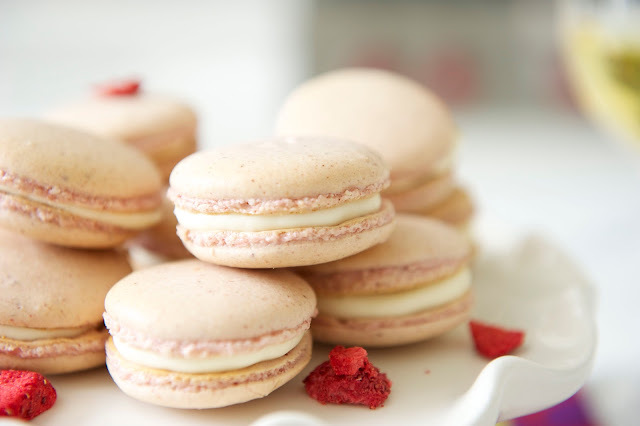 I imagine that Strawberry Macarons would make a nice contribution to the evening's munchies. They're elegant, trendy, expensive (if purchased but I'll never do that), and intensely flavoured...just like the Real Housewives of Vancouver. To boot, they're temperamental. I didn't want all sorts of artificial ingredients in them (but I can't say that can be so accurate for the real housewives themselves...don't know that sort of stuff). So I didn't use any artificial food colouring and only organic ingredients. Well, I think that's pretty Vancouver. In general, we Vancouverites are into healthy, organic lifestyles. I had purchased a case of freeze-dried fruit snacks from Costco recently. It was a variety pack of Pineapple, Mango and Strawberry packets. It's gluten free, no sugar added, all-natural and the ingredient list is simple; for example on the pineapple pack it states simply "pineapple". There are no preservatives like sulphites either. The freeze-dried fruit slices are different in texture than regular dried fruit. It's slightly crunchy. The flavour though is intense. Not too sweet. Because of its dry texture, it's easily ground into a powder. Therein lies my inspiration to use these snacks in macarons. I used one and a half packs of the strawberries (10 oz packets) and used my Bullet to buzz them up into a fine powder. 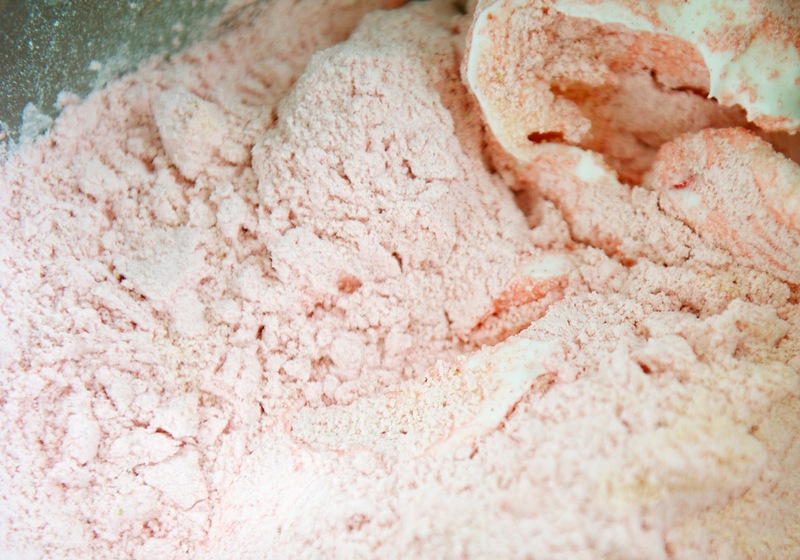 I added that to the ground almonds and confectioners' sugar and they turned out a pale pink. The smell of strawberries was so intense. The flavour was excellent. I paired the shells with a Swiss Meringue Buttercream with real Vanilla bean. I think the flavour is like Strawberries and Cream. 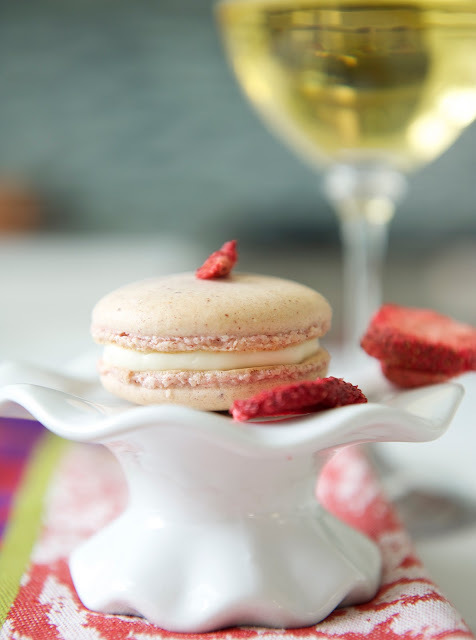 real strawberries and cream macarons...a nice pairing with champagne? white wine? Here it is. Why not indulge in a guilty pleasure? Prepare the baking pans by lining with parchment paper. Prepare your piping bag with a large round tip. Process the almonds, confectioners' sugar and freeze dried strawberries until thoroughly combined and finely ground. Continue to pulse until all lumps are gone. If there are small lumps, you may sift to ensure fineness of the mixture. In a stand mixer, whisk the egg whites until foamy, about 2 minutes. Add the cream of tartar. Continue whisking on medium speed for 2 more minutes. Gradually add the granulated sugar while whisking on high for another 3-4 minutes, or until the egg whites are very stiff. Add the dry ingredients to the egg whites, and with a rubber spatula, deflate the whites while mixing. Combine the ingredients thoroughly and watch carefully, lifting the mixture with the spatula to see if it leaves ribbons. 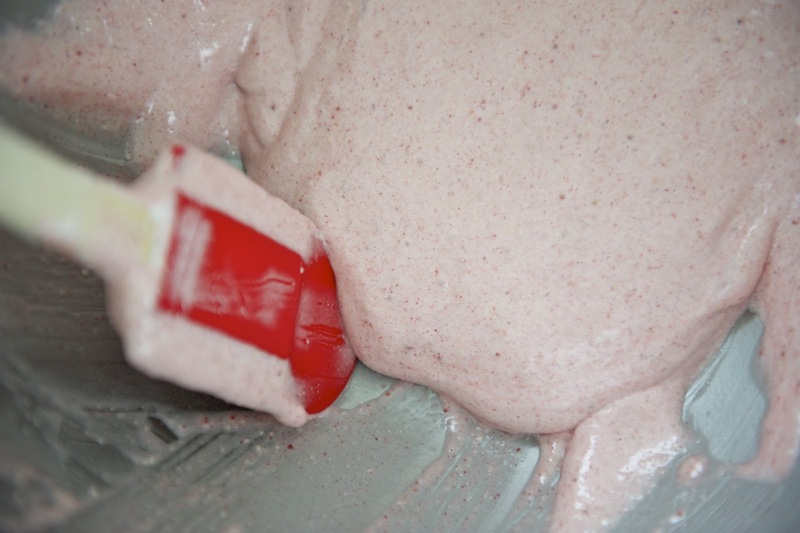 Stop mixing before the mixture becomes runny. Test by seeing if the batter is lava-like. It should not maintain its lines but sink slowly back into itself in about 10 seconds. Transfer half the batter to the piping bag and pipe the macaroons onto the parchment, allowing for spreading. Continue filling bag and piping macaron shells until all the batter is used. 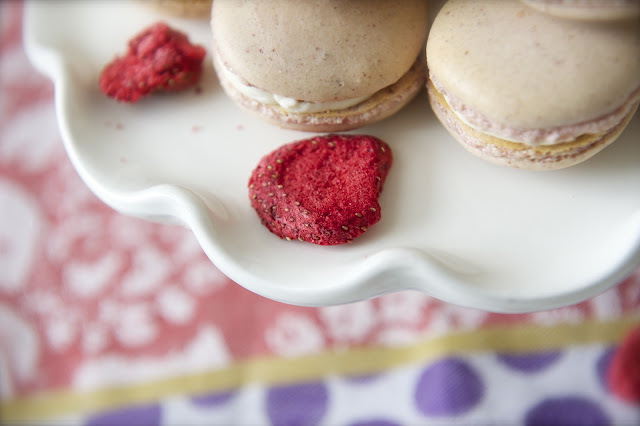 Preheat the oven to 315 degrees F. Allow the macaron shells to dry, about 20-30 minutes. If you touch the surface, it should not be sticky. Continue to dry if it is sticky. Place one tray on the centre rack and bake for 10-12 minutes (depending on the size of the macarons). Turn the tray from back to front halfway through. Allow macaroons to cool completely before filling. Remove from parchment carefully. Pipe Swiss Meringue Buttercream on a macaron shell, find a similar sized shell and sandwich it. 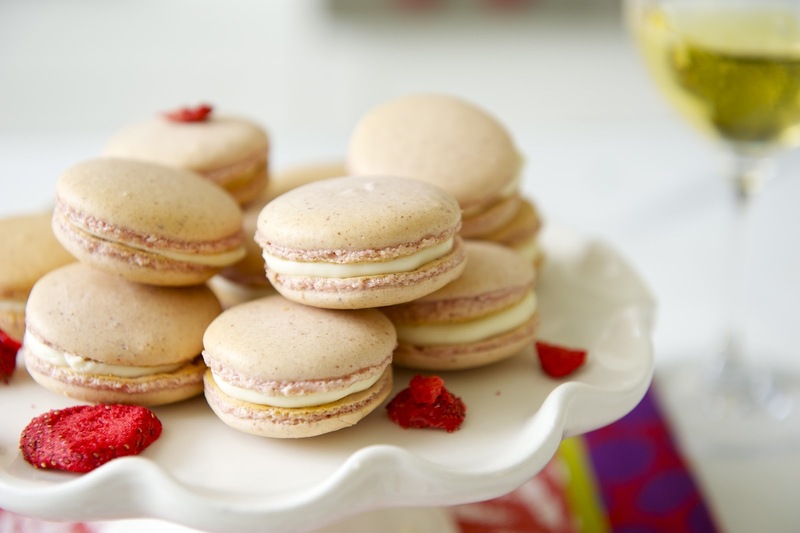 Store the macarons in an airtight container in the refrigerator until ready to serve. Best served at room temperature. You can freeze the shells or the prepared macarons in an airtight container. With mixer on medium-low speed, add the butter a few tablespoons at a time, mixing well after each addition. Once all butter has been added, whisk in vanilla. Switch to the paddle attachment, and continue beating on low speed until all air bubbles are eliminated, about 2 minutes. Scrape down sides of bowl with a flexible spatula, and continue beating until the frosting is completely smooth. Keep buttercream at room temperature if using the same day, or transfer to an airtight container and refrigerate up to 3 days or freeze up to 1 month. Before using, bring to room temperature and beat with paddle attachment on low speed until smooth again, about 5 minutes. (optional) To tint buttercream, reserve some for toning down the color, if necessary. Add gel-paste food color, a drop at a time (or use the toothpick or skewer to add food color a dab at a time) to the remaining buttercream. You can use a single shade of food color or experiment by mixing two or more. Blend after each addition with the mixer (use the paddle attachment) or a flexible spatula, until desired shade is achieved. Avoid adding too much food color too son, as the hue with intensify with continued stirring; if necessary, you can tone down the shade by mixing in some reserved untinted buttercream. Are you watching Real Housewives Vancouver tonight? hee hee! mindless pleasure! Besides, I love seeing Vancouver as the backdrop. Do give macarons a try. They can be finicky, but even failures taste awesome! aww i love macarons, they are so PRETTY! i would instantly love anyone who brought macarons to a party, especially homemade. and the freeze dried strawberries? what a great idea! i just started buying freeze dried fruit because my baby likes it, and i am getting into it too. this is a great use for it! thankyou, I hope you do try them...I imagine you'd love them too! the recipe seems long, but it's actually pretty easy to make! they were a perfect! thanks! I can never get tired of making macs. Every bake is a challenge but when it comes out perfect in texture, taste and mouthfeel, it is like striking a lottery for me. LOL! Your macs look perfect. look forward to seeing you post about macarons soon! I just made another batch! love macarons too! they are so versatile! thanks for visiting! Hi, I am from Ontario. Freeze dried strawberries (and kiwi fruit) are available at Bulk Barn. Your macs look amazing. Haven't had much luck making them, will try your recipe. Maybe I'll work up the motivation/courage to try your recipe someday lol. I actually prefer making my own macarons than buying them sometimes. I've bought them from bakeries/patisseries and I actually like some of mine better than the bought ones (mine are fresher too). My friend says she likes mine too. It depends on what technique is used to make the macarons I guess. I prefer the French meringue method. Once you get the knack of making them, it's pretty easy. Try a simple recipe first and once you've mastered it, you'll be hooked! Seriously, I love, love, love these! I've only made macarons once since going gluten free and they weren't as hard as I expected. And I'm definitely going to give these a go! Oh wow, what a wonderful treat for all your fellow housewives! You did a beautiful job, especially with keeping them all organic and natural. Wonderful recipe! one of the few indulgences I have since refraining from gluten! what luck! thanks! I do try to stay away from artificial stuff if I can help it! Beautiful thanks for the recipe. love your handle! you're welcome! This recipes is looking cool and good . . Thumbs up for those who want to eat this !! 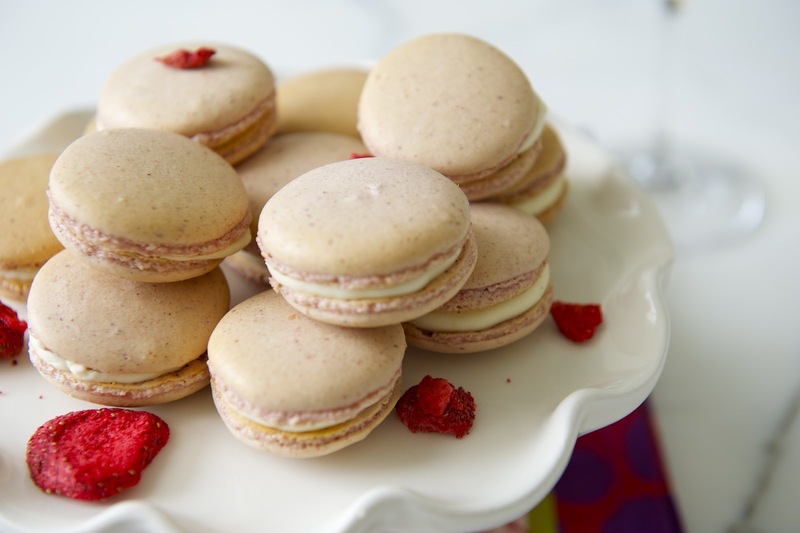 I tried your real strawberries and cream macarons recipe and I wanted to THANK YOU!! On my first try, I only had 5 successful cookies, however on my second try, I had nearly a perfect batch!! I think your instructions are incredible and I've been ranting and raving about your website to all my girlfriends! I have never made french macarons before so just by following your detailed instructions and able to produce such amazing results on my second try is so awesome! Now, I think my hubby is ready for chocolate macarons. Do you have a recipe for that using the carton egg whites? Would I be able to just replace the dried 15g of strawberries with 15g of cocoa powder? 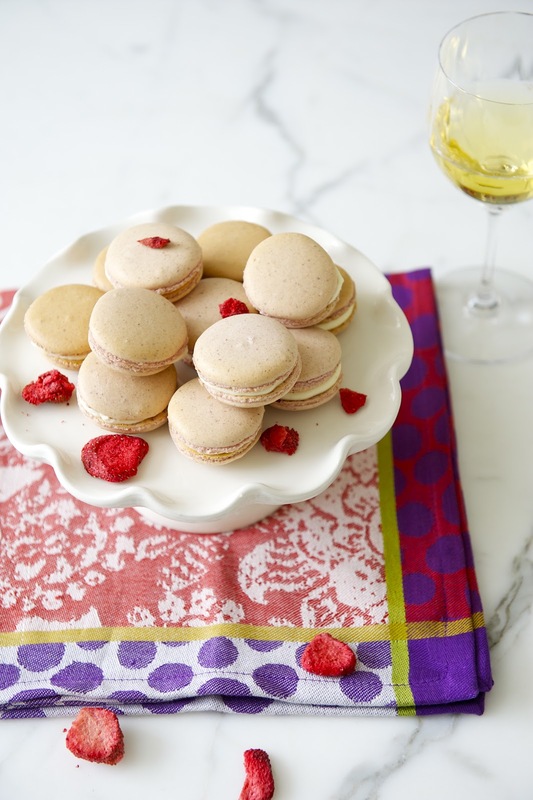 Thanks for sharing your secret to the french macarons. Love you or at least my friends, hubby and kids love you! aw shucks! thanks for the kind words! You can go crazy with the recipe now! Just make sure you weigh everything. If you want, you swap out the amount of flavouring (powdered anything) with things like matcha, cocoa powder, ground sesame, etc. Yes, go and try it with the carton eggwhites. I have a recipe that uses the eggwhites because I hate wasting yolks. I rarely use yolks as much as I do whites. In my search box in the right side bar, you can type in pasteurized egg whites, or carton egg whites and relevant recipes should pop up. Thanks so much for replying to my post!! I'm off to try making some chocolate macarons. I was just worried that with only 15g of cocoa powder, it wouldn't flavourful enough since the freeze dry strawberries had such intense flavour on it own. I'm also from Vancouver, so I gotta ask...do you have any ideas of where I can get freeze dry fruit? 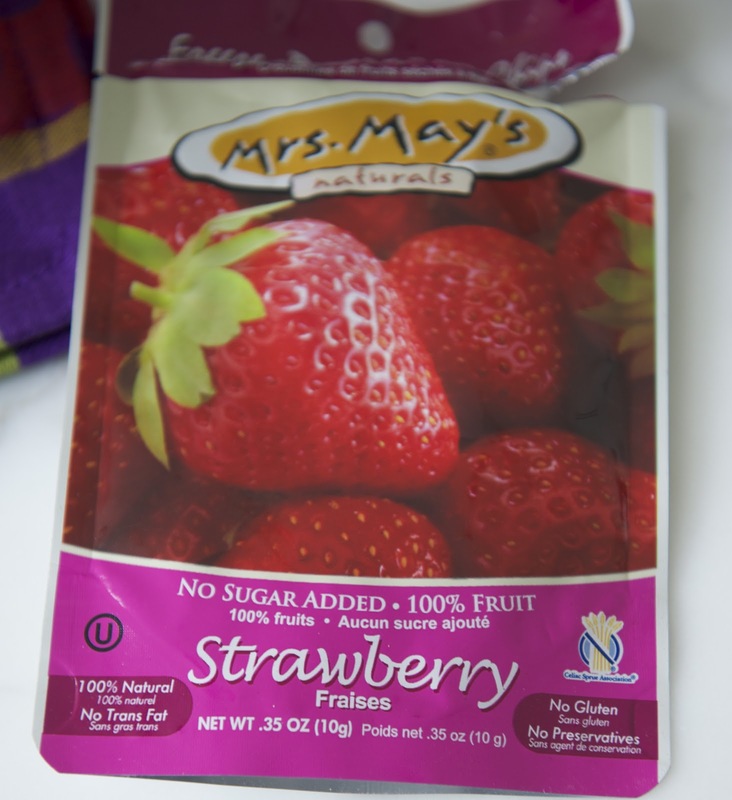 Costco has stopped carrying the Mrs. May freeze dry fruit box (OH NO, right?!?) and I checked out Famous Foods, but they say the freeze dry stuff usually only comes in during the summer months. I'm off to try Whole Foods and MEC. PS. Can I just say I LOVE LOVE LOVE your blog. 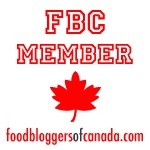 I brag about your blog to everyone and anyone that's willing to listen to me! Your dark chocolate cupcake is a staple at my kids' birthday parties every single year!! lol! why can't I have friends like you in real life? none of my real life friends is the least bit interested in baking and blogging and all the stuff I do. Hey, don't worry about 15g of cocoa powder. Try it, eat it and if it isn't enough chocolate flavour, just make another batch and adjust until you get the right proportion. That's how I do it. It all tastes good in any case. yah, that's too bad about Costco not carrying the freeze dried fruit anymore. However, I noticed they carried the freeze-dried fruit covered in yogurt or chocolate. But that doesn't help, does it? I have a big stockpile of freezedried fruit so I don't have to worry. Summer is almost here. When Famous Foods has their stock come in, grab a bunch! MEC and Whole Foods is where I would try too. Freeze dried fruit is expensive but it packs a lot of flavour. In the meantime, you can try matcha, ground black sesame and other dry powdered flavourings. Go crazy! Your kind words...they make me blush! lol! Made these yesterday and the flavor was amazing. Unfortunately they ca,e out sticky even after 17+ mi Utes of baking and some were too brown. Went on to make a perfectly dry batch of pistachio and lavender. I wonder if the strawberries adds more sugar or stickiness? Tried varying degrees with each of the 3 trays but couldn't solve it. aw, that's too bad. The strawberries are buzzed fine to a powder but they don't have added sugar (as long as you used the same brand that I did). The moisture content of the dehydrated strawberriese could be an issue. Mine were bone dry when I buzzed them to a fine powder. Sorry I can't help more; but with macarons it could be any minutiae of technique, egg whites etc. Were they dry to the touch before you put the macarons into the oven? Maybe cut back on the amount of dehydrated strawberries? Did you weigh the dehydrated strawberries accurately? Was it a rainy/humid day? Hi there. Dry weather out here in CA. Yes they formed a skin for sure. Did weigh 15 grams and used my bullet to pulverize them. I will try again with a little less next time because he flavor was so nice. Freezing ahead for a party next week. Can't wait to make the buttercream! Maybe try powdered egg white?